Parachute your men far behind enemy lines to take control of the Orne bridges behind Sword Beach.... Lead the Guderian Panzers in a fierce battle against the armored columns of British forces... Relive Operation Crusader by fighting Rommel's Afrikakorps in the desert sands... and fight many other battles in depth with these Breakthrough platters! 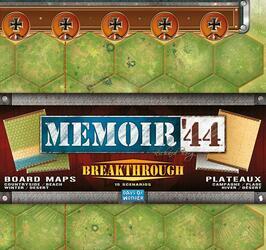 The Breakthrough Platters for Memory'44 expansion will take you on a new journey of discovery into the great operations of the Second World War. You will find two large double-sided trays, 13 hexes by 17, with which you can play large-scale battles on any terrain (countryside, beach, winter and desert)! These trays are composed of 9 panels and have been printed to the largest size possible using current printing technologies. The Breakthrough format thus opens up to new scenarios! 15 scenarios, most of them unpublished, are included in this expansion. 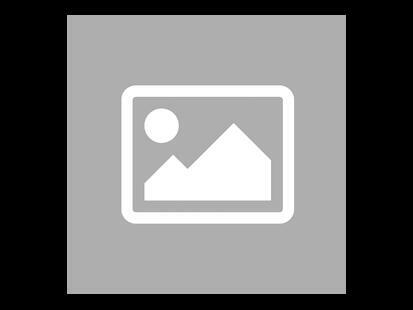 They are the work of Jacques "jdrommel" David and Richard Borg, the author of Mémoire 44. From the bocages of Normandy to the atolls of the Pacific, through the African desert and the Russian steppes, these scenarios cover multiple theatres of operation and transcribe famous battles such as Operation Crusader, Operation Amherst, or the Sword Beach Landings, provided in two different versions. Other game expansions are also strongly recommended as most Breakthrough scenarios use them. However, for scenarios that require only a few elements of these expansions, players will be able to find alternatives.